And a joyful seasonal holiday of your choice to you! 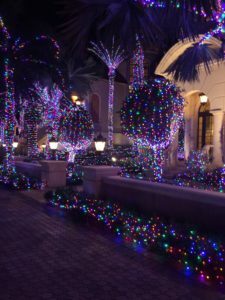 I understand that the first night of Hanukkah falls on Christmas eve this year. Nicely convienient. Athiest that I am, Christmas is a purely secular holiday for me. Celebrate family! Friends! Loved ones of all sorts! (Rats, I forgot to buy Charlie the cat a present. Well, I’m sure some extra catnip in his sockie-toy will be appreciated!) Be kind to each other, and spread joy everywhere you can. We’re going to be needing good will in the days to come. Of this, I am sure. 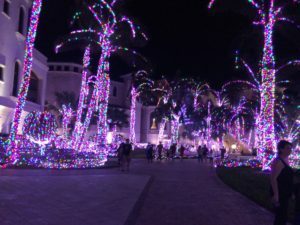 My visit with some Florida friends included the traditional gawk-at-the-nearby-mansion interlude. 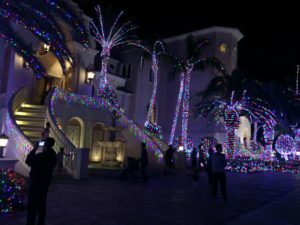 The owners decorate with lights every Christmas, and this year went even more over the top than you’d think possible. I’m sure this is visible from space. 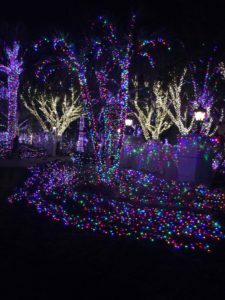 And they even opened the gates this year, and let everyone wander the grounds to enjoy the lights up close. Very public-sprited of them! 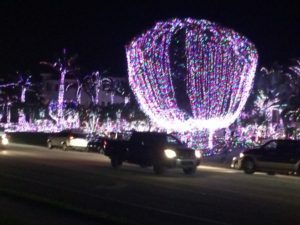 Of course, not everyone can afford $300,000 for Christmas decorations. 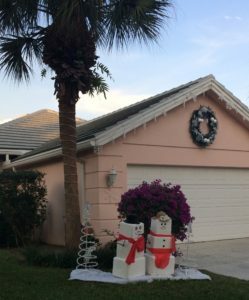 While Florida lacks snow, there is no shortage of styrofoam coolers. I hope you and your own family, extended family, loved ones, and associated non-human critter-citizens have nothing but delight for all your holidays.